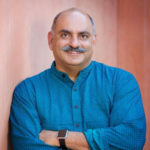 I reported earlier that Mohnish Pabrai has developed a top-secret algorithm that enables him to home in on the best stocks that are ripe for a buy. These stocks are divided into three baskets depending on their unique characteristics. The three baskets are “Uber Cannibals”, “Shameless Cloning” and “Spinoffs”. The “Uber Cannibals” portfolio has companies that are aggressively buying back their own stock. 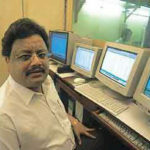 The “Shameless Cloning” portfolio has the best stock picks of eminent stock wizards. The “Spinoffs” portfolio is a collection of five recent corporate castoffs. In December 2017, Mohnish tweaked his top-secret algorithm further and got it to identify the best-of-the-best stocks for each of the three baskets referred to above. The stocks so short-listed were kept in another basket called the “Free Lunch Portfolio”. 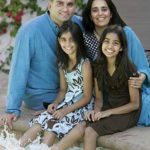 Mohnish did rigorous backtesting and concluded that “All three strategies significantly outperform the S&P 500 in our 17+ years of backtesting”. “While tempering volatility, the Free Lunch Portfolio still trounces the S&P 500 by 11.7% on average over these 17+ years!” he said. “If one had invested $100,000 in the Free Lunch Portfolio and rebalanced every year since 2000, it would have turned into over $1.68 million so far in 2017 versus just $255,000 for the S&P 500,” he added with a big smile on his face. Unfortunately, in 2018, the “Free Lunch Portfolio” has underperformed the S&P 500 Index. While the S&P 500 Index lost 2.9%, the “Free Lunch Portfolio” lost 17%. However, Mohnish has assured that this is nothing to be alarmed about. “Our backtests show that the Free Lunch Portfolio outperforms the S&P 500 over a 17+ year period (17.1% annualized for the Free Lunch vs. 5.4% for the S&P 500), but it does not do so every year. In fact, the Free Lunch Portfolio underperformed in 6 out of the 17 years we tested,” he said. “Keep the faith and do not overreact to short-term negative performance. This is a long-term “set it and forget it” strategy,” he added in a soothing tone. Mohnish has rebalanced the Free Lunch Portfolio for 2019. Mohnish has advised that new investors can just equal weight these 15 stocks (i.e., invest the same amount of money in each of these 15) in early January 2019. Some novices rightly pointed out that Mohnish is duty bound to provide his countless fans in India with a “Free Lunch Portfolio” of multibagger Indian stocks. While the demand by the novices is justified, we have to note that Mohnish’s own portfolio of multibagger Indian stocks is itself a “free lunch portfolio” for us to clone. 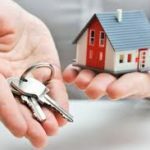 In an interview with Nigel D’Souza on 28th October, Mohnish provided a masterful explanation about the merits of Repco Home Finance and Care Ratings. He explained that Repco has “different DNA” as compared to its arch rivals and that it serves a market where it has “almost no competition”. As regards Care Ratings, Mohnish pointed out that there is “no business on the planet that has a wider and deeper moat than a rating agency”. “It is almost a license to print money,” he added. Unfortunately, Mohnish appears to have lost confidence in both stocks. Similarly, Healthcare Global Enterprises was booted out of the portfolio. Mohnish has maintained a studied silence about the reasons for the ouster of the three stocks. However, according to the grapevine of the MMB Punters, Mohnish may have discovered an “even better” multibagger stock to buy and is raising funds for the same. Some speculated that Mohnish may have deliberately booked loss so as to offset the hefty gains that he may have raked in from other stocks. This measure is necessary because long-term capital gains (LTCG) are now taxable under Indian taxation laws. I reported earlier that NAMO and RaGa are locked in a battle of waivers so as to woo the electorate in the upcoming 2019 elections (see NAMO’s Counter To RaGa’s Farm Loan Waiver Will Send Fav Stocks Of Porinju Veliyath & Mohnish Pabrai Surging). While RaGa has aggressively waived off the farmer loans, NAMO has indicated that he will waive/ slash the GST on the realty sector. MMB punters have rightly pointed that the farm loan waivers will benefit agriculture stocks like Kaveri Seed while the GST waiver will benefit realty stocks like Sunteck Realty, Oberoi Realty, Kolte-Patil, Godrej Properties etc. Mohnish has a massive holding of Kaveri Seed and realty stocks in his portfolio. This implies that if we also now tuck into agriculture and realty stocks, we can benefit enormously from the electoral sops offered by the political parties in 2019! Mohnish seem to have been in Bangalore having a meeting with HCG along with Sundaram. 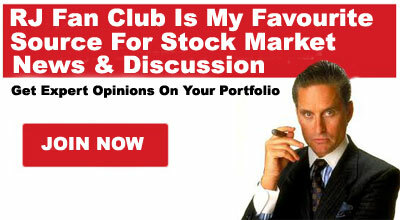 It would have been nice if CNBC ,ET or Bloomberg could have invited him to give some Christmas Picks. He would be like the Santa giving the free cookies. 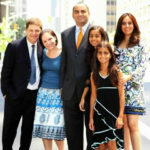 Mohnish can offer even free Breakfast and dinner stocks. The stinky food that no one wants can be offered easily by anyone. I could not stop laughing at the logic that he got rid of REPCO & other stock to nullify LTCG. One has already seen recession indicators in last quarter of 2018 and set to prolong in 2019. If some one has lost huge chunk (80 million or so), his recos are no longer cared by any investor. How come he keeps exiting good companies in his portfolio (HCG, Repco) and keeps the bad ones (south indian bank)? Isnt that the opposite of what Buffet does?